Whenever Nintendo announces a limited edition version of a game there's the inevitable fear that stock will disappear rather quickly. That happened with the Tokyo Mirage Sessions #FE 'Fortissimo Edition' when the Official Nintendo UK Store opened up pre-orders, with the dreaded 'sold out' status eventually appearing. With just a couple of days before release, however, pre-orders are open once again. In case you've forgotten this edition includes a 5x8 colour artbook, a six-song soundtrack CD featuring some of the game's music, six song cards and a sticker sheet, along with a DLC pack that includes five pieces of content that'll otherwise cost £1.79 each. It's limited to one per customer and costs £64.99 - you can grab it right here. Let us know if you're planning to buy one of these, and be sure to check out the recommendation in our detailed Tokyo Mirage Sessions #FE review. Hat tip to Doctor Overbuild for the heads up. BUT I DONT HAVE ANY MONEY! I think it's a glitch like with FE Fates preorders after 1st April. Is good that they restocked it now just before the game comes out because now people are able to change their orders if they wanted to get the limited edition in the first place so good on Nintendo UK! @DoctorOverbuild I think it might be a glitch personally. It has happened on the Nintendo UK Official Store before. Was it always £64.99? I thought it was £69.99? Now, still £64.99. Guess I was wrong or the price dropped since I ordered it. @SLIGEACH_EIRE "£65? Eh, no thanks!" Dude, are you serious? We've had to put up with your whining for what feels like MONTHS about how you could only find the Fortissimo Edition sold by scalpers for extortionate prices (£140ish), and how you were desperate for Nintendo to produce more so you could buy one at the normal price. Literally, post after post after post complaining about this fact, posing yourself as some some of massive victim who we should all feel sorry for. Yet no one is surprised. Anyway, I just ordered it for roughly £54 (€70) at a local shop. @Grumblevolcano Okey-dokey! Your order xxxxxxxx is on its way! Yup just talked to ask mii not a glitch! @Maxz £65 plus delivery is nearly €90. Not a chance I'm paying that. I've found a site selling it for €70 but I've yet to hear back from them about delivery. Nintendo charging €85+ for this is not on especially considering how much effort they put into the translation and added content(or lack more like). Stickers, song cards? Naff tat! I'm not surprised by your "whingery" as you put it. Used to go crazy over limited editions then realised how pointless they are. Love collecting standard editions but got no love for over priced stuff no more. Deliveries free for me with orders over £20. @MowMow789 Not when you don't live in the UK and they won't deliver to Ireland forcing you to find other avenues. It's gone back out of stock by the way. Sold out already! Not really surprising it went so quick. Payday is a week away, not that it matters now. Yup, my original order messed up. Luckily there was this available and it's on it's way now! Very pumped!! I have pre-ordered Fortissimo Edition from local store but i'm still not 100% sure if i pay 100€ for that or just pick common version for half price. @SLIGEACH_EIRE I don't know where you got Xenoblade from, but I had to pay about 70 euro for it on release. 70+ euro is the average SRP for Nintendo's really Limited Editions. (and Amiibo bundles doesn't count). But I dont care because you get swag you cant get anywhere else and they're always super limited, making them extra special. 🐇🐇 Alundra-1998 and all the people who ordered the same day that it was made available to preorder. I have had this preordered since the 27th of April. I was just having a bit of fun with the doc. @JaxonH I know you were just having fun. Well I got my fortissimo edition today. And while I knew-and still believe- that the fortissimo edition isn't a fantastic collectors edition by any stretch, the game itself is wonderful. Basically like a playable anime. Alot of similarities to a Persona game too. @SLIGEACH_EIRE when you listed the games did you mean to put a euro sign for the prices? Because Twilight princess collectors ed was £50. If you paid €50 thats a bargain! @Maxz Whingery...such a masterful word, underused! @Marshi Yep. €50. One of the various European Amazons. Germany if I remember correctly. To be completely honest it was €53 including postage. It was a good deal. @whodatninja Amazon Espana. It pays to shop around. @SLIGEACH_EIRE Then thats pretty cool man. As for the fortissimo edition if TMS. Unless you are a diehard collector-me-its really not worth it. I would buy the standard edition. Goes for as cheap as €35-€40 from what ive seen in the past. @SLIGEACH_EIRE Then you should be happy you saved so much on Xenoblade and just accept you didn't get as lucky with the Fortissimo edition. Or wait and hope it drops in price after release. @Marshi It was always pretty cheap. It's still £43 on Amazon, you can get it for less elsewhere. 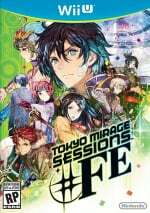 @whodatninja I don't know if it's down to luck that I couldn't find TMS #FE Fortissimo Edition for a reasonable price. Nintendo seem to have purposely restricted its availability and slapped a higher price on it than bundles usually cost. I asked before why it's more expensive and was told to blame Atlus because their games are charged at a higher price. Anyway, I'm not done yet. I'm still looking and have potentially a good deal lined up for Fortissimo Edition bundle. I'll know more tomorrow. If it works out I'll let others know. You can't just buy it anywhere. Doesn't it say a lot that when it became available yesterday on the Nintendo UK store that it was a headline story on most Nintendo sites? And it's gone again. @SLIGEACH_EIRE I used thirdparty website nowinstock.net to know when the game came in stock on Amazon DE and FR. The site sends you an email as soon as as an item is purchasable. @meppi Ooh, where from please? Hmmm? I'm from the UK. @meppi Yeah, I only just set up my account so it went straight to US, I am from the UK though. It's a Dutch site, but they should deliver to the UK. Postage should be quite cheap as well. I hope it stays in stock for a while. I'd be quick to be honest. Normally with limited editions from Nintendo, they always sell out way before the game is released, so I'd be surprised if it stays up for much longer. Although, the game seems to be quite niche, so who knows. But if you really want it, I wouldn't take the chance. Thank you. Yeah, I completely missed the window on Nintendo Store UK and right now I have no money, hopefully by the end of the week I'll be able to get it.